Imagine a leisurely British lawn party on a summer afternoon, bright sunshine, tea in a china cup, strawberries and cream. A hoighty-toighty voice in the background asks Anyone for tennis? 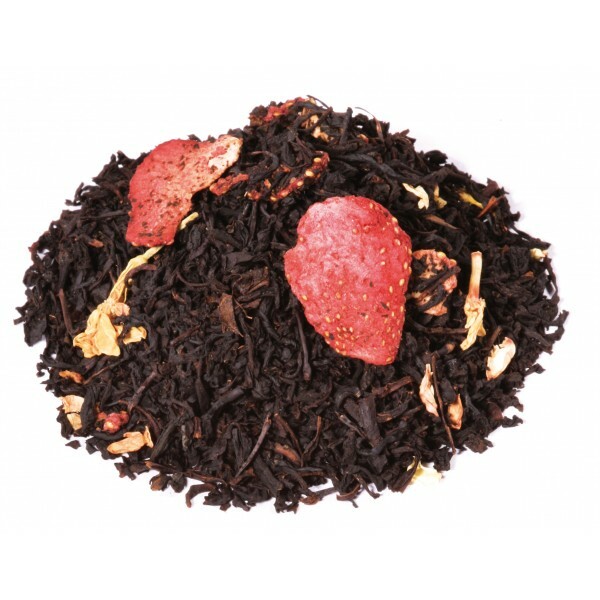 Our charming black tea blend brings all of this together with it's wonderful strawberry cream flavour. Now, where's my racket? 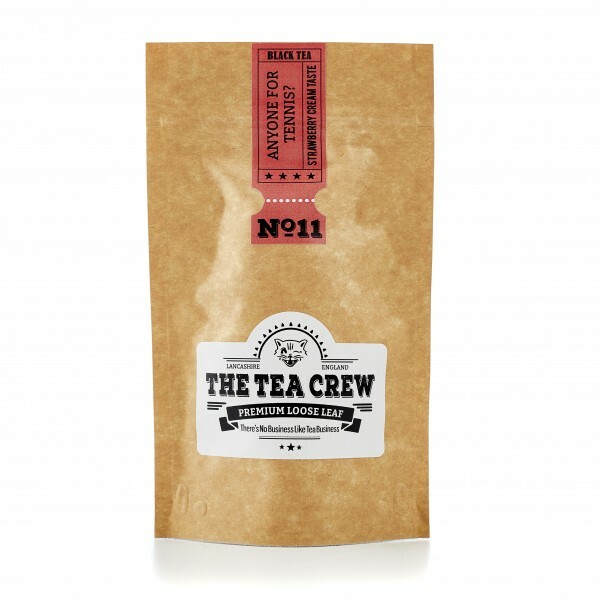 Black tea, natural flavouring, strawberry, jasmine petals. 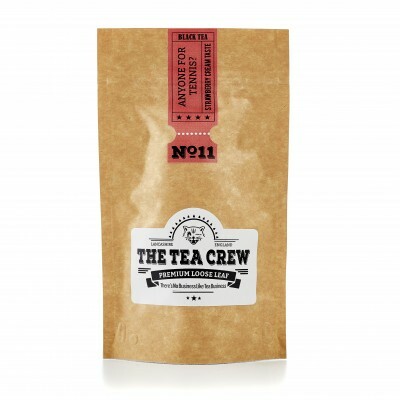 Dairy free, gluten free, suitable for vegetarians and vegans. Made in a factory that also handles nuts.